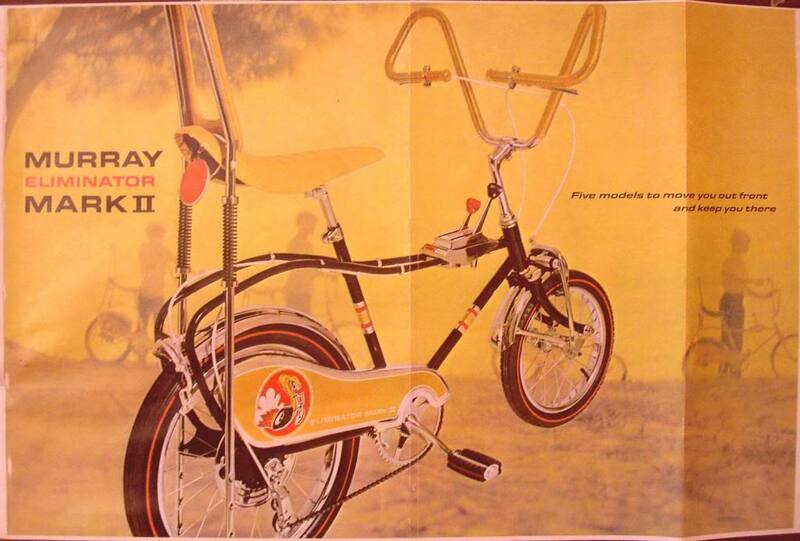 In May of 1969 Murray came out with a new line of Eliminator called the Mark II. 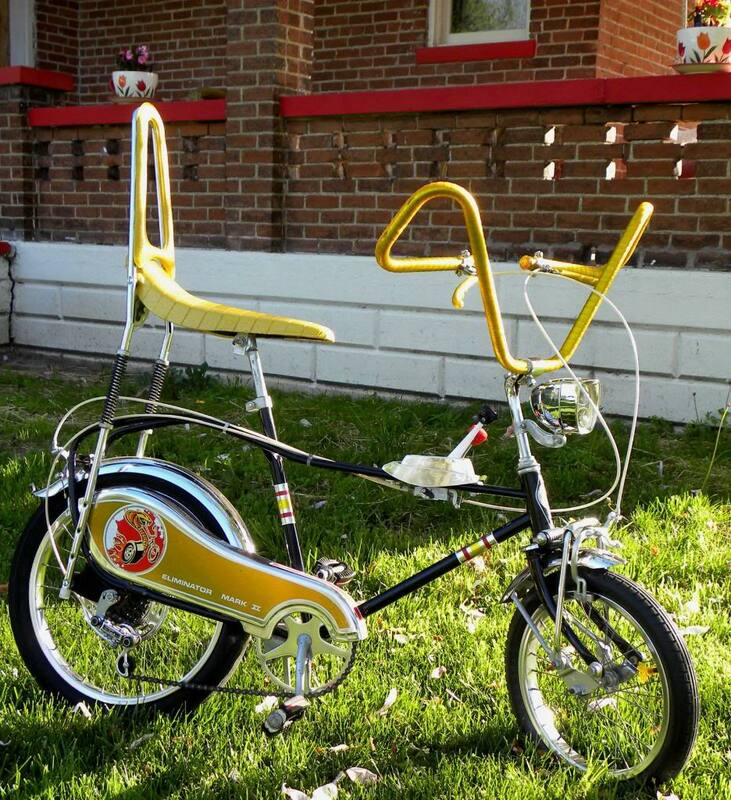 These were a all new design with hump back frame to give them a Tubed wheel well look, and raked front end With a 16″ front torsion bar fork and Wheel for that drag car feel! also a Kool Drag brake was added to the shifter for those kool burn outs! glitter seat with Quilted Roll bar and spring shocks to soften the ride. The chain guard was a all new larger then life Billboard style with Kool drag racing Cobra decal! 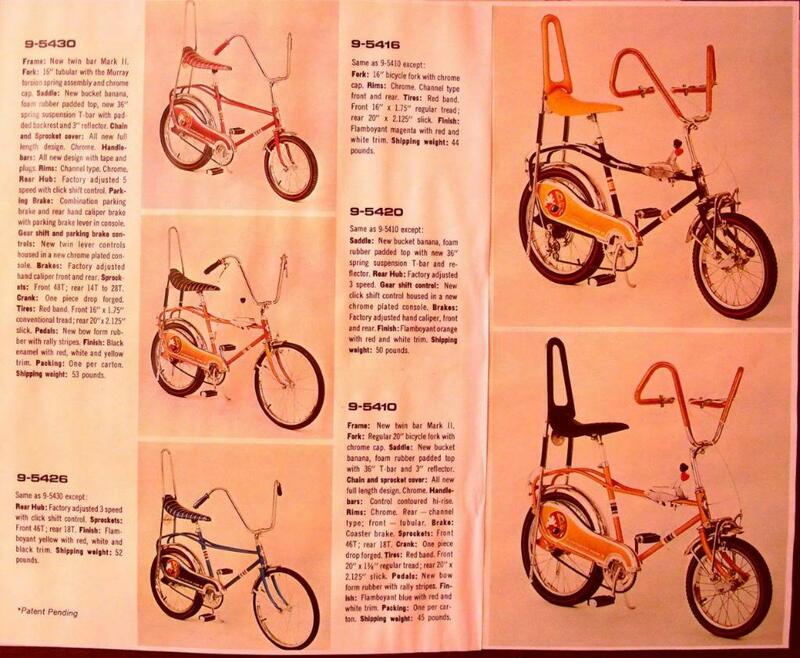 These bikes were manufactured from 1969 through 1971 and were sold through many department stores with different colors and options!